Whaling is one type of phishing attack where a scammer poses as a trusted party to encourage a user to open a malicious website or attachment. In most phishing attacks, an attacker broadcasts an identical email to thousands of recipients and waits for responses to trickle in. A portion of phishing attacks are spear phishing focused on a specific individual; a whaling attack is spear phishing attack that focuses on a high-level manager or executive. 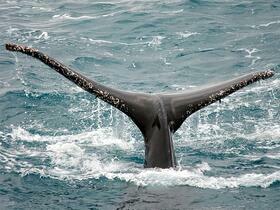 Despite the differences, some security experts do not distinguish between spear phishing and whaling. Anti-phishing company, PhishMe, found that more than one in five workers responded to spoofed office communications and fake emails about finances and contracts, including fake “File from Scanner” messages. That response rate is likely to be much higher for highly personalized email that appears to come from an executive. The response rate for other types of corporate phishing such as IT-related emails was between 10 and 18 percent. Adding to the confusion, whaling emails are not likely to be caught by spam filters because they appear to be normal business communication. That’s where the following security tactics come into play. The first step to avoiding a whaling attack is to identify likely targets at your organization, including the CEO, the finance team, those with high levels of financial or system authority and those with access to the enterprise’s most prized proprietary information. Immediately notify the whaling targets that they may receive highly-personalized phishing emails and that the security team is calculating an appropriate response including policies, training and technology. Whaling may be a frightening new way for attackers to get ahold of precious data, but it is also easily avoided. For more information on how you can protect your organization from phishing scams, malware and other attacks, contact WEI today.